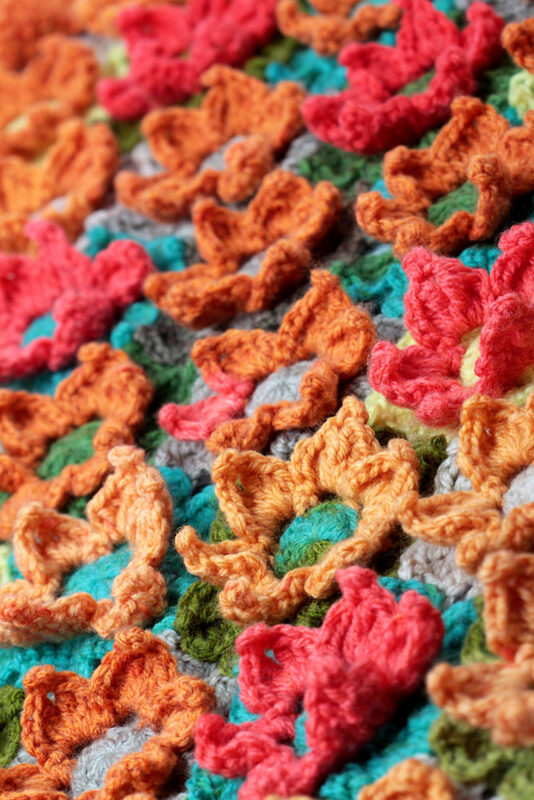 Can’t stop won’t stop… making floral blankets! 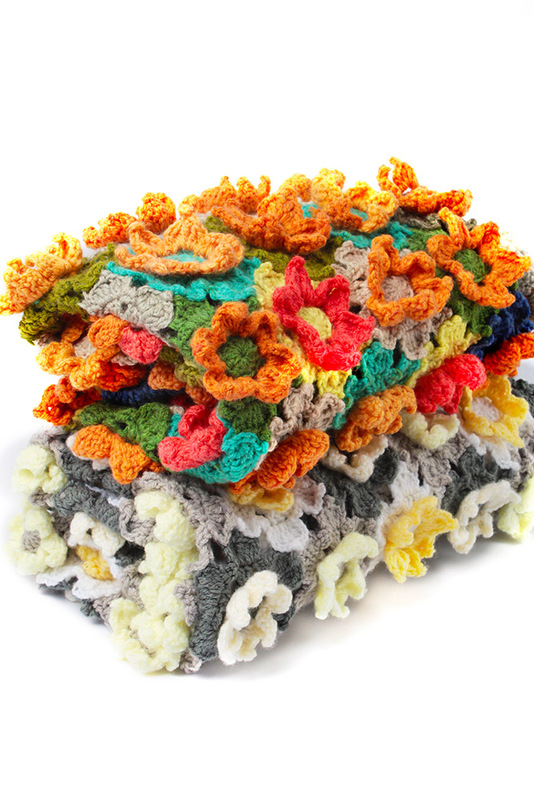 This sweet floral crochet blanket can be made in any combinations of colors.. It is surprisingly fast and easy to make. 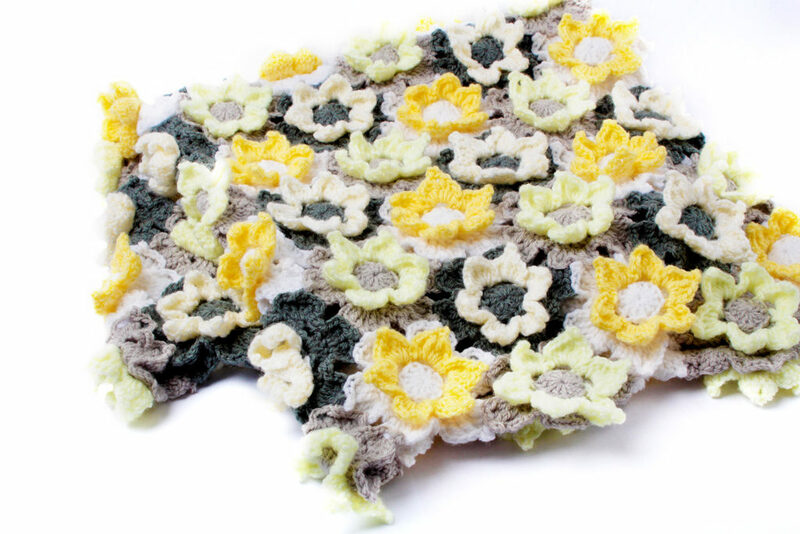 Yarn suggestion: Loops and Threads Snuggly Wuggly in Dove Grey (A), Soft Grey (B), White (C), Soft Cream (D), Soft Yellow (E), Yellow (F). Refer to page 3 for quantity. Refer to page 2 for quantity. 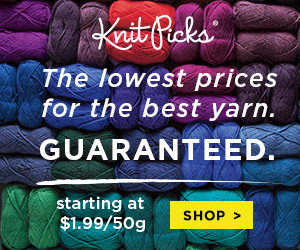 You can use a different yarn of your choice. 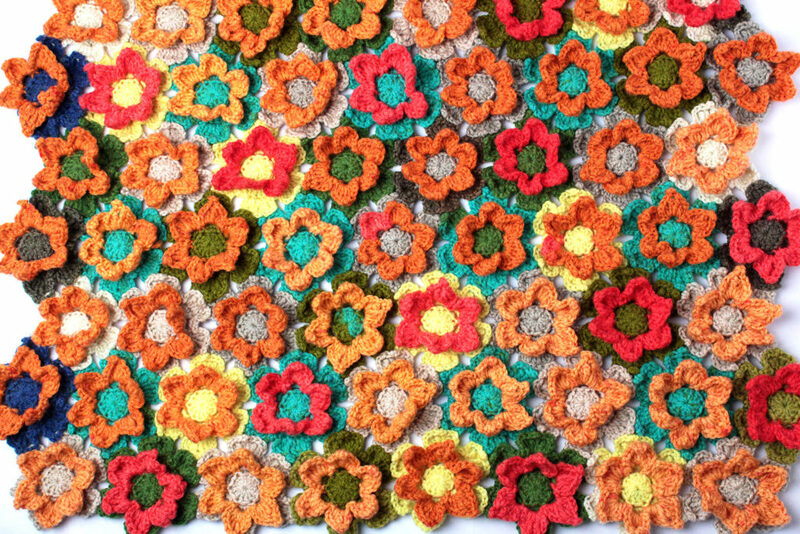 Notice the total length of yarn (in yards or meters) you would need to make your own blanket.